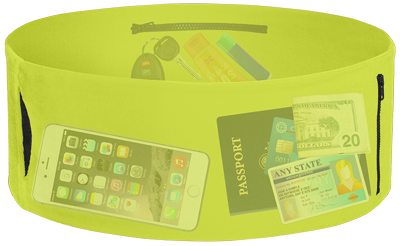 The Tube® is The Ultimate Multi-use, Unisex, Wearable Waistband for People on the Go! A Stylish & Functional Solution…here to stay!! 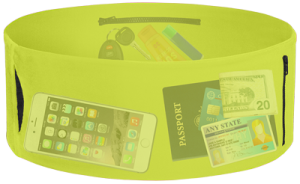 The TUBE® the patented* stylishly sleek alternative to the ‘fanny pack’ for everybody and every BODY who lives a busy life. Perfect for working-out, traveling, sporting events, concerts, shopping, & convenient living! 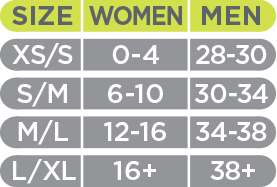 Many color combinations to choose from-match your workout gear, outfit, or your favorite sports team! The Tube®: Official Gear of Hot Chocolate 15k/5k, Bubble Run & Ragnar Relay Series USA, NBC’s American Ninja Warrior. Come see us at the Rock ‘n’ Roll Marathon Series, Run Disney Events and more!